For your convenience, we offer this information specifically for businesses looking for a new location or businesses interested in expanding in Kentucky. These resources are provided through the Kentucky Cabinet for Economic Development. The Pennyrile Area Development District also offers a number of resources for businesses in our community. The retention and expansion of existing businesses is essential to the growth of Kentucky’s economy. Existing businesses are responsible for the majority of new capital investment and new jobs announced each year. The largest department of the Kentucky Cabinet for Economic Development is its Department for Existing Business Development, which offers a variety of programs and services to Kentucky’s existing businesses. 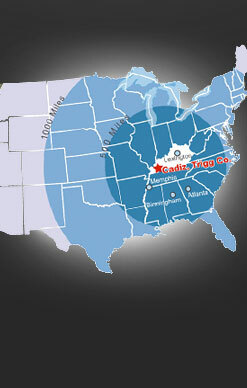 Kentucky offers some of the most innovative business development programs in the nation to new and existing businesses. These programs are designed to help existing businesses in the state grow and prosper and encourage new firms to join Kentucky’s rank and file. Low business costs, a wide range of tax and financial incentives, and licensing and marketing assistance programs are just a few of the innovative programs available to encourage business investments and expansion in Kentucky. If you are thinking about expanding your company or would like to learn more about programs offered to existing business and industry in Kentucky, the Kentucky Cabinet for Economic Development Regional Economic Development Offices offer an existing business visitation program. By contacting the offices or calling the toll free number, a business development specialist from the Cabinet will schedule a time to meet with you and your company to see how we can help. When searching for a new business location, you must be able to access accurate and timely information from a single source. The Cabinet’s Department for New Business Development staff is that source. With an average of more than 10 years experience in economic development, any member of our highly qualified team can be your single point of contact for the duration of the location process. Kentucky offers a wealth of programs and services designed to cultivate a pro-business climate including some of the most innovative tax incentives and business development programs in the nation. Kentucky has many other advantages, including low business costs, available and productive workforce, central location, and over 200 pre-screened “shovel-ready” sites with fully available infrastructure and more than 200 quality industrial buildings.